Hongbin Zhao’s Solo exhibition was held in Tokyo, Japan Ginza from November 22 to December 4th, Zhao's original artworks and limited editions are on display. 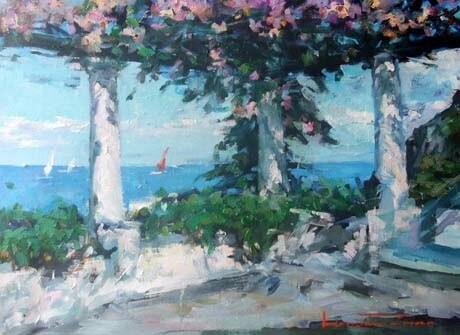 Apart from his famous "Talk with the Angels" series, there are his new series of artworks; landscapes of European Landscape paintings in the exhibition. Hongbin Zhao, Asian-Australian painter, Solo and joint exhibitions have been held worldwide. In Japan alone he has toured with over 80 Solo Exhibitions. 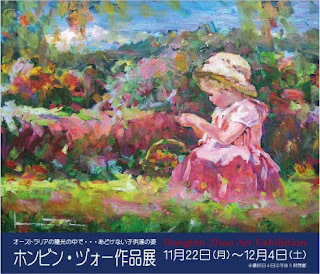 In Japan, he is dubbed as “Monet of the Orient” by the authoritative Japanese Fine Arts Publication 'Monthly Fine Art'.